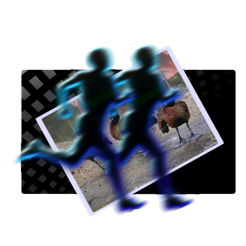 CM Batch Photo Processor helps you in performing the mundane and tiresome task of having to batch resize and rename all your photos while giving you back the time to doing what you enjoy doing. * New in v3.2.0 - Batch File Renaming module for all types of files with options to determine the filename structure and order. * EXIF Information are copied from JPEG, CR2, NEF, ORF, SR2, ARW and HEIC format when converting between these formats to be saved to a supported output format. * Support JPEG Lossless Rotation which ensures the JPEG image quality is not affected during rotation. 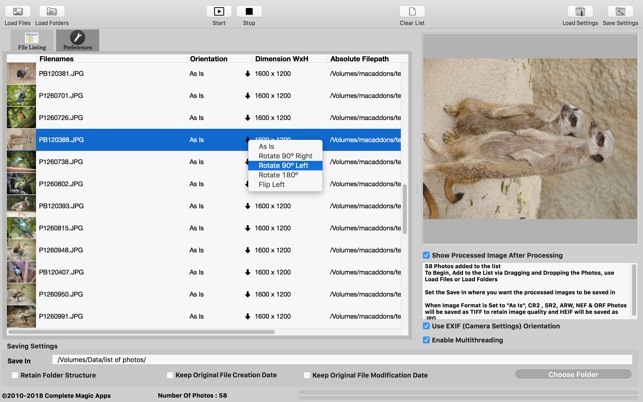 * Batch Import of Folders of Photos using the Load Folders or by dragging and dropping a folder into the application. 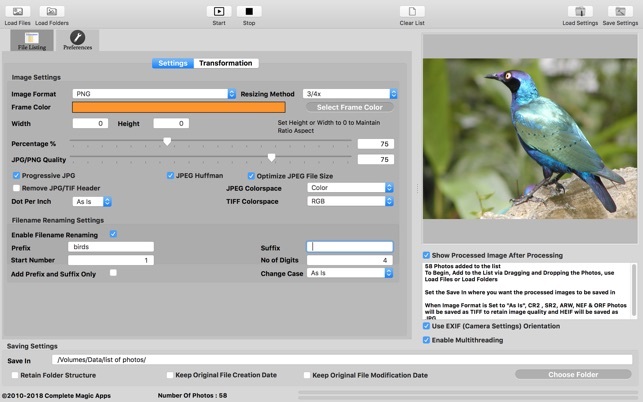 * Supports Import of JPEG, Canon RAW (CR2), Nikon RAW (NEF), Olympus Raw (ORF), Sony Raw (SR2 and ARW), High Efficiency Image File (HEIC) when running MacOS High Sierra, PNG and BMP Photos. ** When the Image Format is set to "As Is" and the imported file is ORF, SR2, ARW, CR2 or NEF, the output file would be saved as 48 Bit Color Depth TIFF and if the imported file is HEIC, the output file would be saved as JPG. It can do all these with a few easy settings and it works faster than if you can do it manually. Resizing is never easier as it provides you with several methods such as Downsizing by Pixel, Upsizing by Pixel, Resizing by Percentage and several quick ratios to use. The renaming feature allows you to add Prefix and Suffix to your existing filenames and/or include an auto-generated running number to it. 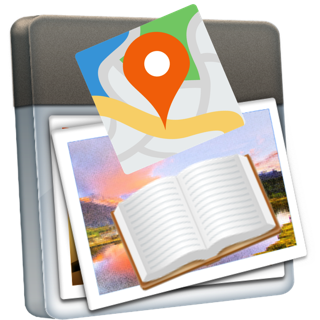 You can tag on any text to the filenames so that in the near future when you refer to those photos, you would know where and when they are taken. Apart from helping you resize and rename your photos, CM Batch Photo Processor can help you rotate photos and add that extra spark to your photos through its manipulation option, some of which includes Sharpen, Blur, Oil Paint, Negative, Equalize, Sepia and Grayscale effects. When you take pictures in landscape mode on an iPad,iPhone or an iPod Touch, it will show up as portrait mode in iPhoto, use CM Batch Photo Processor to rotate them to the correct orientation in a few seconds. 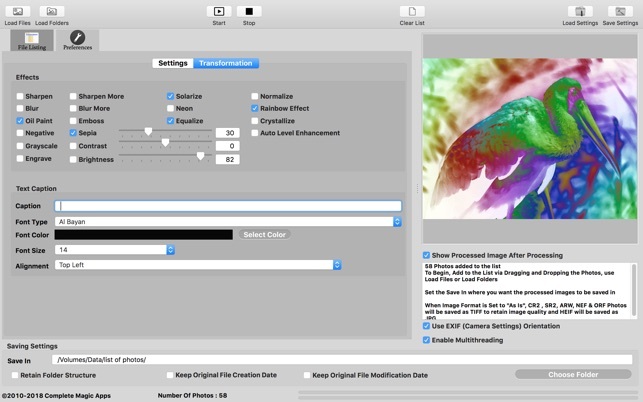 CM Batch Photo Processor is a great tool for both professional and amateur photographers alike. 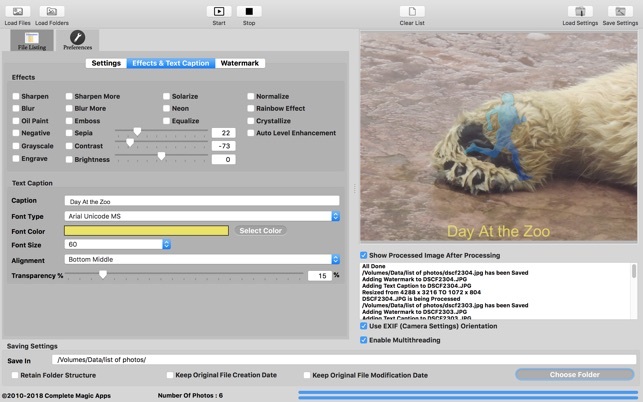 It certainly is a handy app to have for anyone who deals with photos. 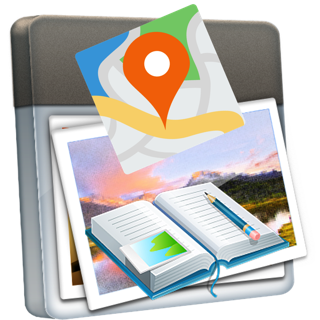 Resized photos would be small enough to send to your friends or put on the web and can be viewed by Mac, Windows and Linux users alike. 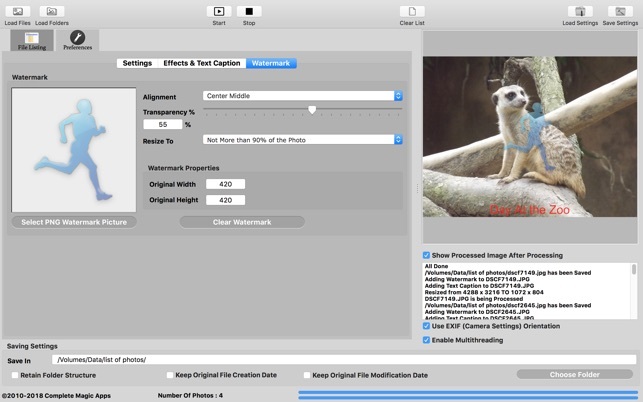 Like they say, a Picture paints a thousand words and CM Batch Photo Processor would certainly make that task easier for you. 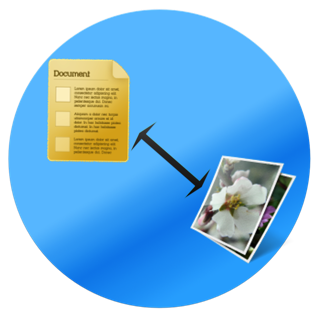 Included in the app is a comprehensive batch renaming module which can be used to rename photos, videos or any types of files. It comes with support to tag prefix, suffix, custom text and dates. 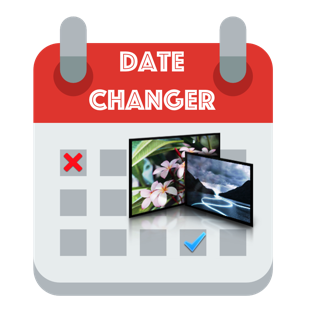 The built-in Date builder lets you customise the dates to your needs. We added a powerful and yet easy to use Batch Filename Changer module which can work independently of the main app. 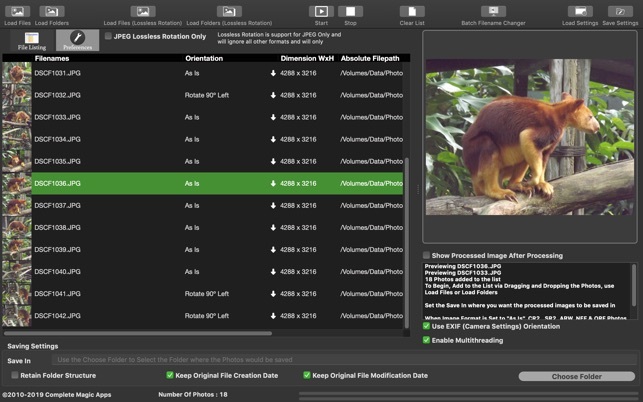 This lets you rename not only photos, videos and your document files. Basically anything that has a filename. 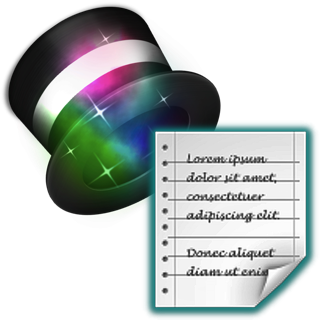 The comprehensive file name builder lets you set up the filenames that you want. 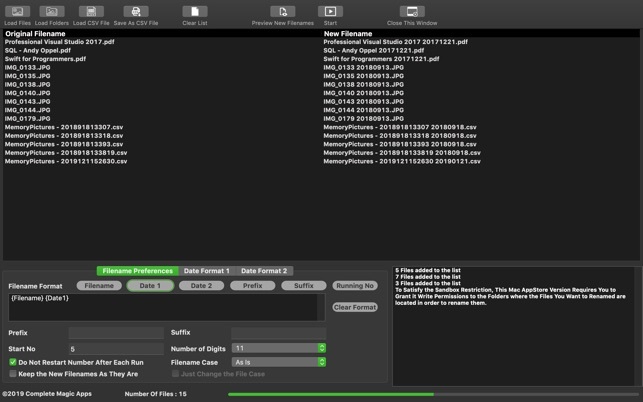 Preview the changes prior to applying the filenames. 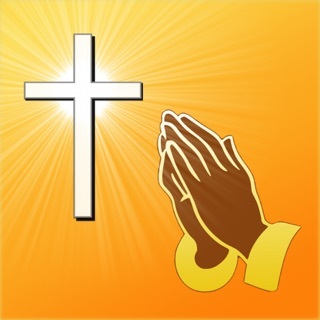 It is fast and easy to use. this version keeps crashing. it was working before and now it crashes. please fix problem! love it otherwise. I have started to use the program, mostly for reducing the size of high-resolution, extremely large photos to a more suitable size for posting on my blog. Before I used to use Photoshop Elements to do this one picture at a time. CM lets me do it with a whole batch of photos in one shot. I often convert them to grayscale as well because I just happen to like black and white photos. To make a long story short, the program is working fine. The results of the re-sized images are quite good, and surprisingly sharp and clear, with no distortion. Grayscale transforms are very well done with no loss of detail and very nice shading. If you need to convert photos, either just re-sizing them, or converting to other formats or black and white, take a look at this program. It's doing the job for me. Brief update: Just recently used it to transform .PNG images to .JPG, and it worked very well.